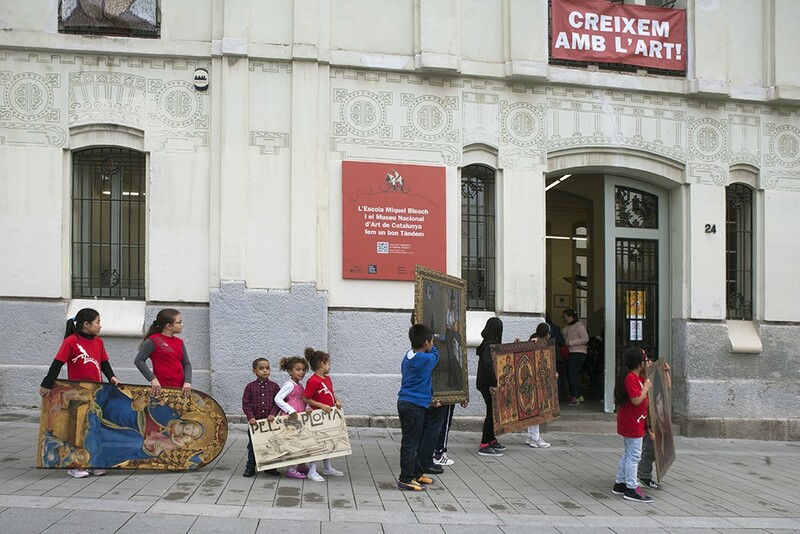 The year that has just ended marks the milestone of three years of intense collaboration between the museum and the Miquel Bleach School in the framework of the Escoles Tàndem (Tandem Schools) programme. During this time we have worked for art and heritage to become important in the teachers’ training and in the education of this school’s pupils and their families. Through this project we have had the feeling that the museum has been more like the village hall in some ways, a welcoming place where everyone, regardless of their culture and class, can feel welcome and represented because they can establish a personal bond with what is being exhibited. 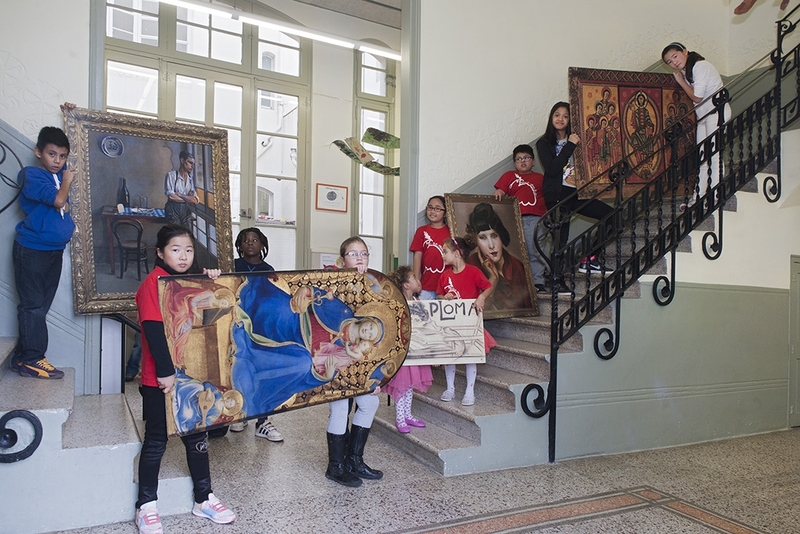 The museum has accompanied and mediated the conversations that art has caused: between the artists and this educational reality, between the boys and girls and the works of art, between the teachers, the pupils and their families. It has been a privilege and a great learning process. The lesson speaks of respect for the visitors’ freedom to look and choose and of the power to mediate of the people themselves. Of transforming the meeting between the works and the people. From the one-way expert discourse that excludes those who know the least to forums of dialogue with suitable tempos for feeling and sharing that which moves us, without restrictions. 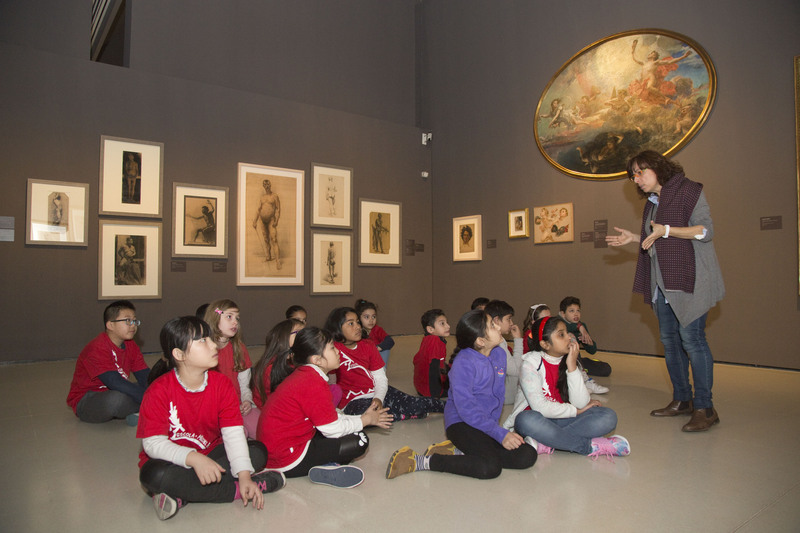 Of standing up for the making, practice and creation of art with its diverse idioms in the museum’s rooms for everybody. In short, it speaks of the museum as a natural place for the citizens to visit because, as in the village hall or in the square, it is a place where we share the meanings of who we are and wish to be as a society. 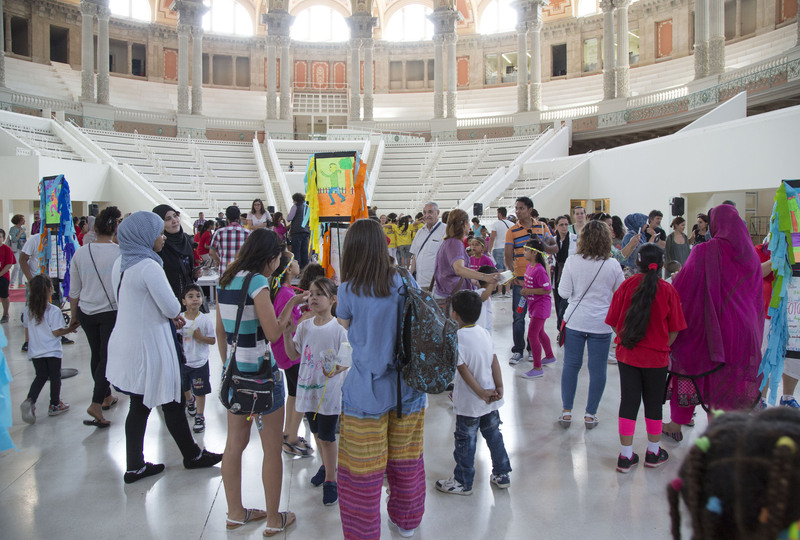 Our objective, as we said in this blog at Educating through the arts, has been to improve the quality and the results of the teaching and learning and to make the museum available in order to provide a place with opportunities for participation, inclusion and social justice. 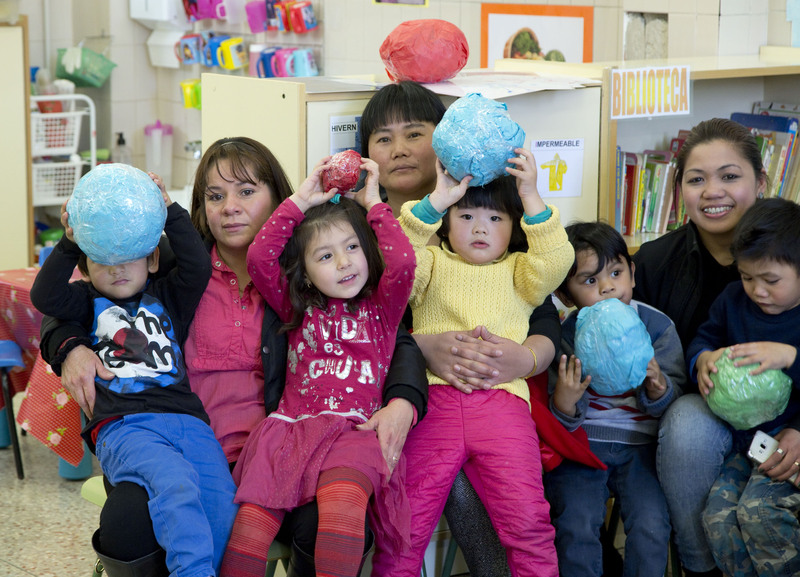 These fundamental citizens’ rights in relation to education and access to culture have been filled with meaning through actions that we have created together. Tàndem is a joint creation that arises from this school’s wish to use the project as a tool of transformation towards a new school model. 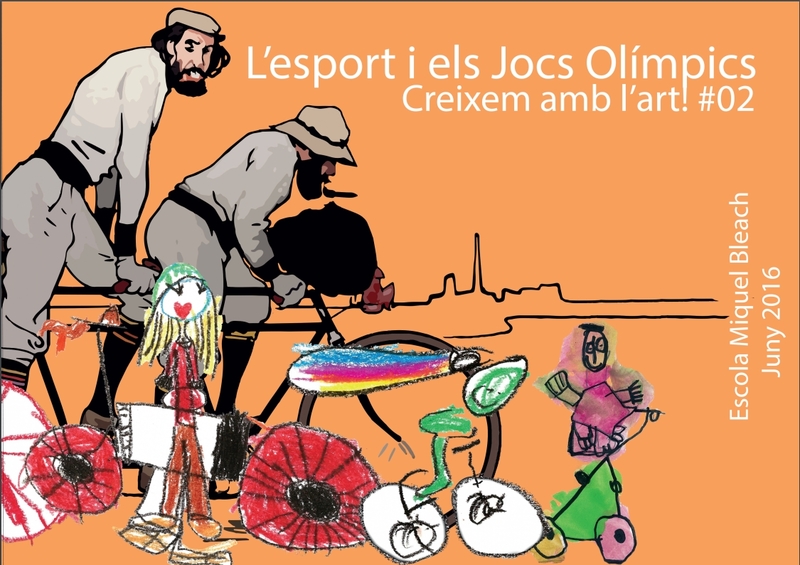 At the start of this adventure in 2013, the Miquel Bleach School, an infant and junior school in our district of Sants-Montjuïc, had very low pupil numbers. With no parents’ association, the participation of families, 98% of whom are immigrants in a disadvantaged situation, was very limited. It was a school held in low esteem by the neighbourhood that had gone from being the “gypsies’ school” to the “immigrants’ school”. It provided traditional education in which the pupils did not take part in the decision-making process. The teachers had no specific artistic training. For the pupils, acquiring the vehicular language was one of the chief problems. The school’s management, with vision and a capacity to lead the change, took on this project with hope and commitment. Listening actively, ensuring the cohesion of the staff and finding a suitable pace was fundamental for overcoming the difficulties. For the museum this project gave more importance to its social mission. 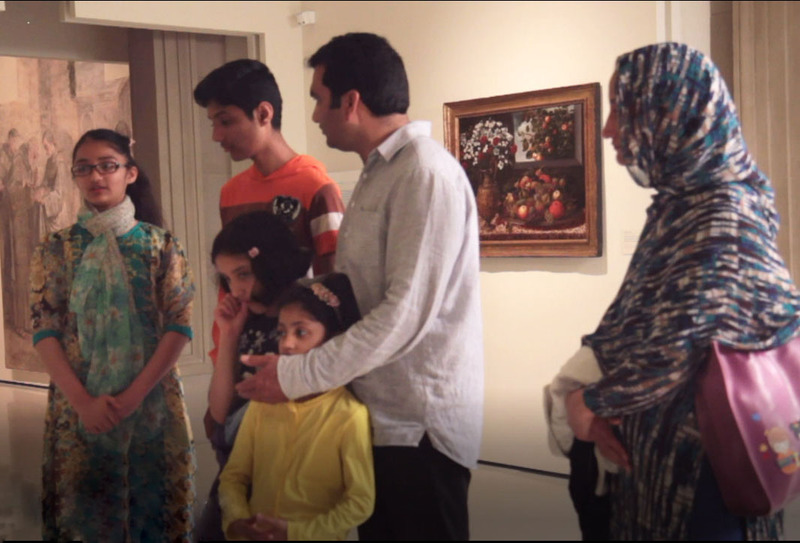 Besides establishing a long-term alliance with a nearby school, it made it possible to work with the group of immigrant families who do not normally visit the museum. 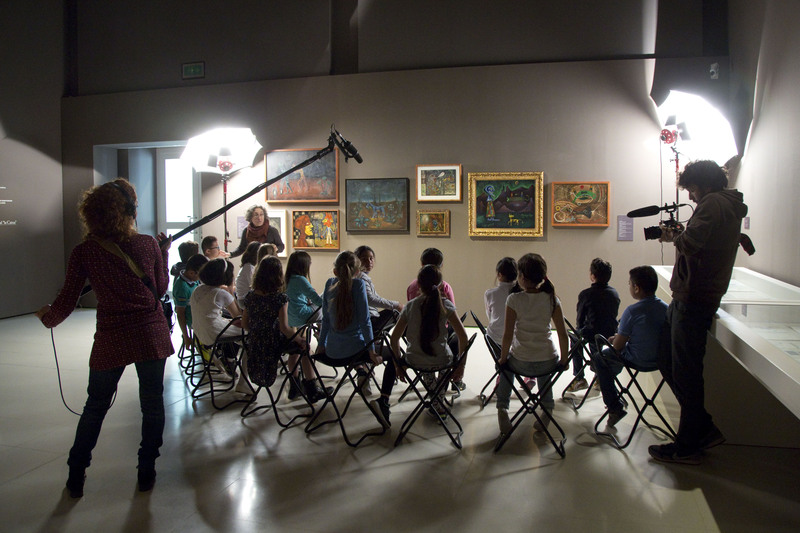 The initial doubts that we had about devoting so much time and effort to just one school were gradually allayed due to the fact of being able to participate in a transformation process with the community and at the same time being able to research the educational potential of art in both the school and the museum. 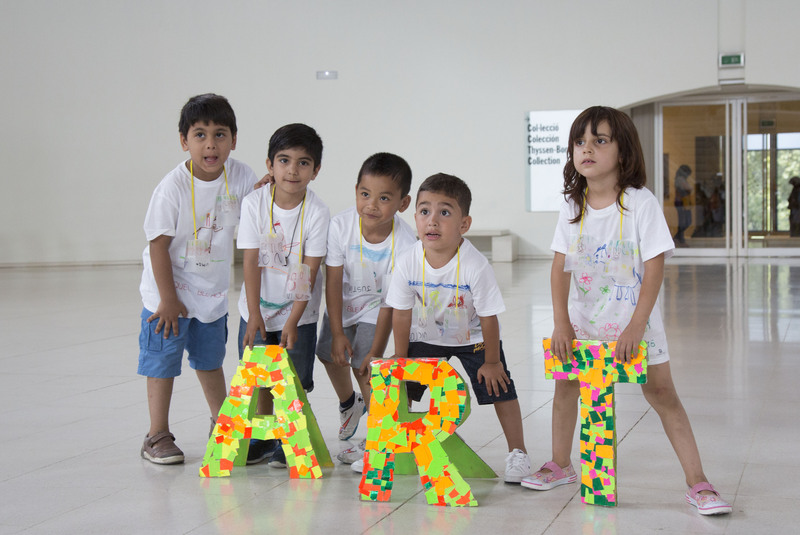 –teacher training has consisted of making art, museum visits, the introduction of project-based work, giving a prominent role to art and the implementation of Visual Thinking Strategies (VTS) in the classrooms. –the organization of the school, which has been structured from the second year onwards around classroom projects, transverse and communal, on a subject chosen each year by the pupils. 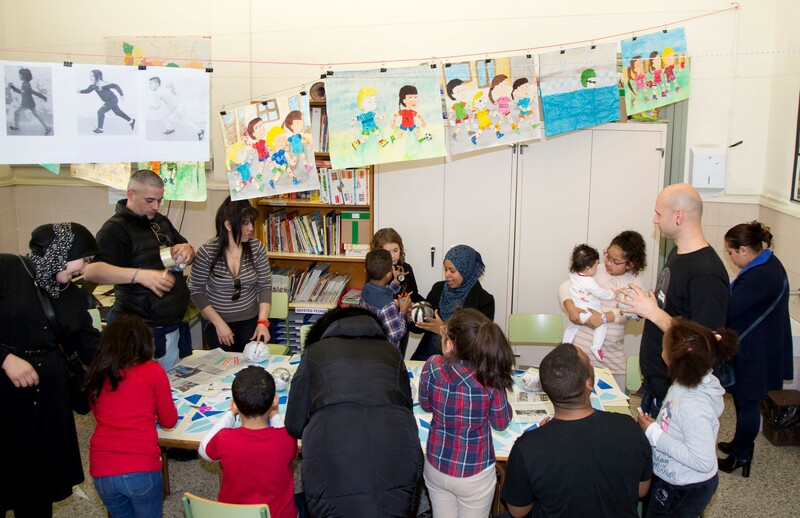 –community action has been focused on the creation of events based on the current project to share with the families, and on the creation of networks of collaborators with museums, heritage centres, artists and neighbourhood associations. 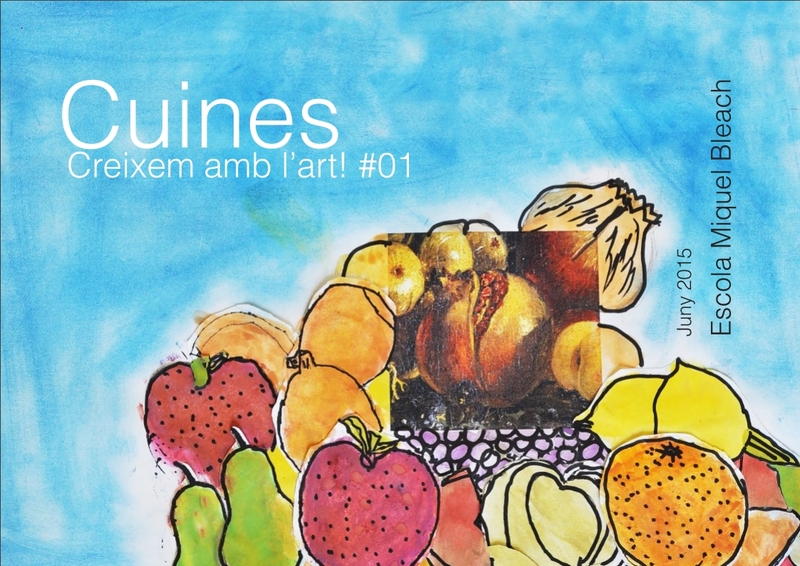 –the communication of the project: in order to be able to share the learning that has been generated with the community, we created the blog Creixem amb l’art and the annual magazine of the same name. 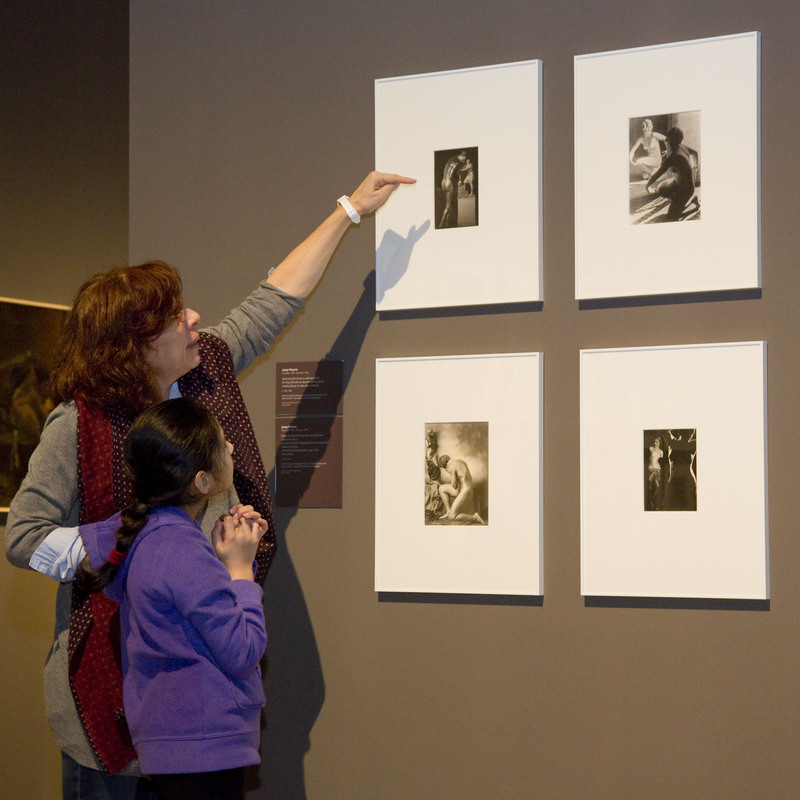 What influence have these actions had on the educational community and the museum? The teaching staff – Through training, the teachers have been enriching their personal knowledge of the subject of art and the role it can play in the education of their pupils. Despite the fast pace, the complexity of the project and the instability of the teaching staff, in these three years the staff has gained in autonomy and in its capacity to reflect on its own work. Through the monitoring that we have provided, artistic experimentation, the variety of approaches and dialogue are now more in evidence in the classrooms. 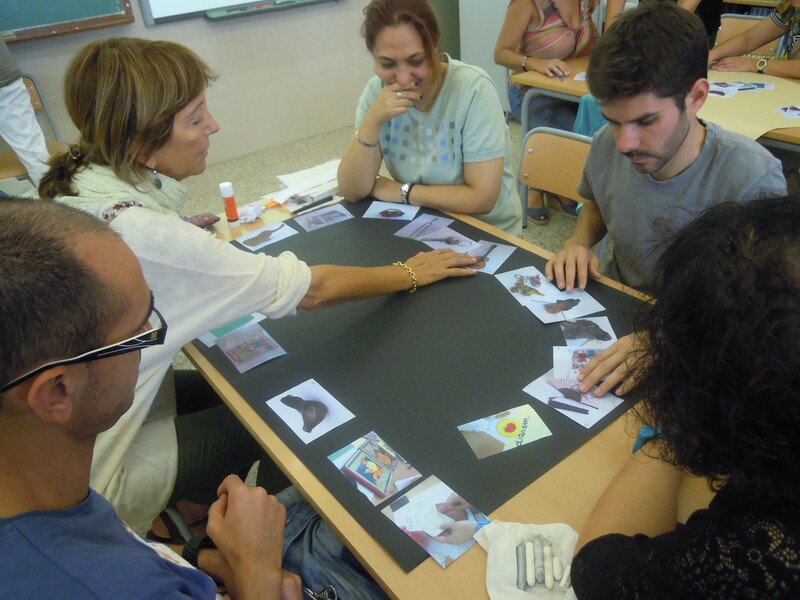 After three years, the teachers are able to identify cultural partners in the territory to collaborate on projects. The museum continues to provide support for teacher training and occasionally advises the team on transverse projects. At the present time the staff is motivated and committed to the new school model. 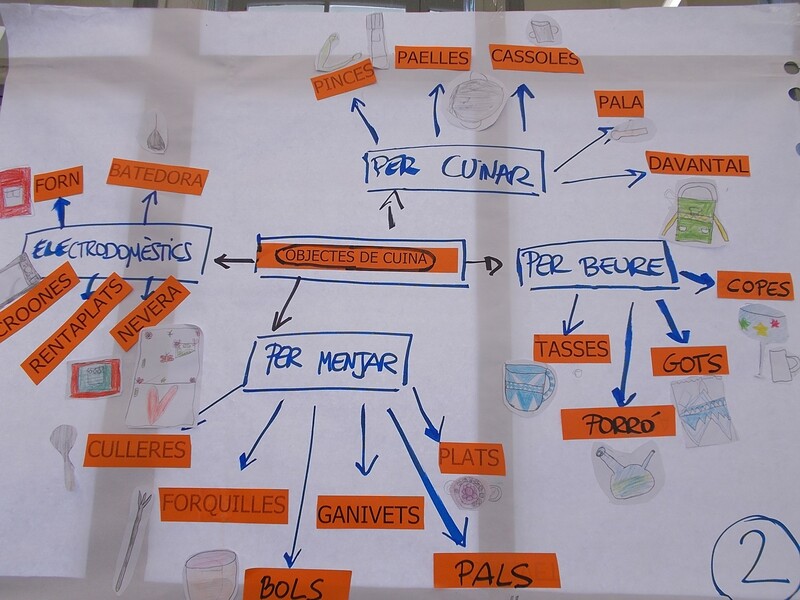 The Miquel Bleach School was awarded the City of Barcelona Prize for Education in 2015. 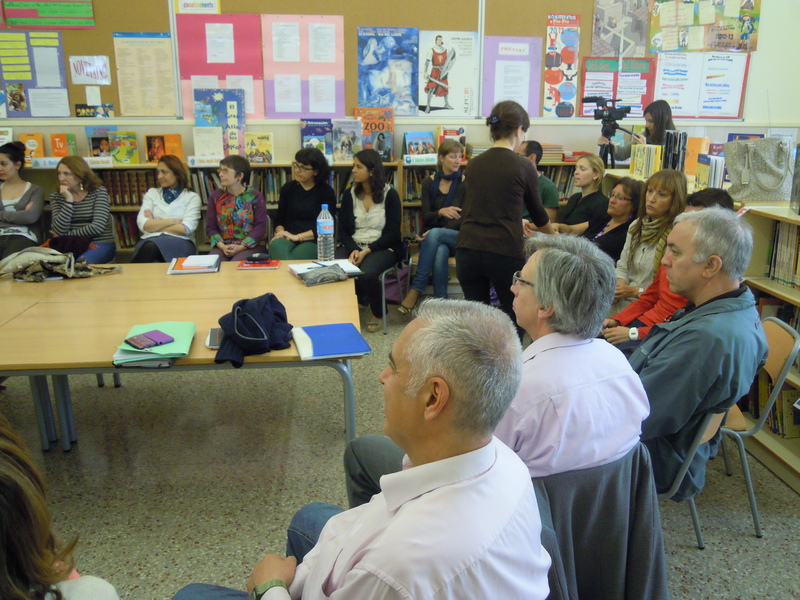 The pupils and their families As a result of the project the school’s pupil numbers have increased. The participation of families has grown year by year and is now 70%. 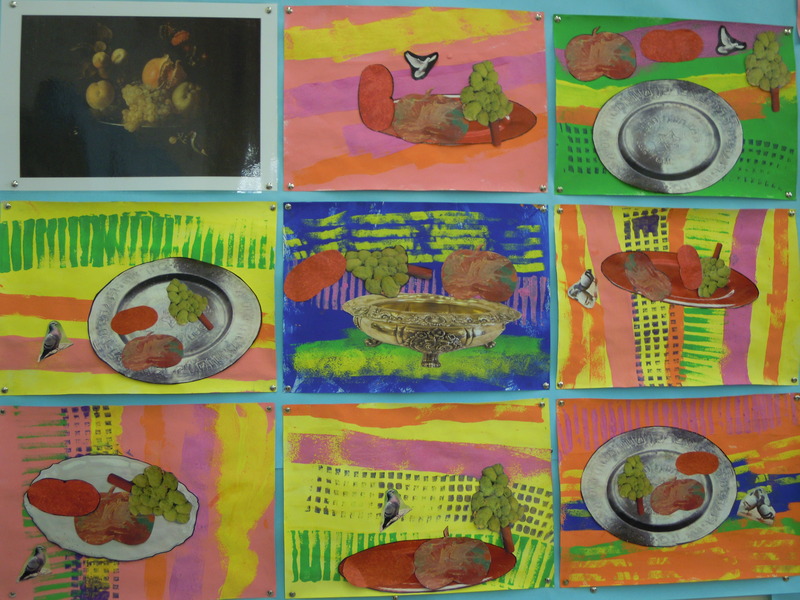 In the new school model projects are being worked on in which art plays an essential part both with regard to research into any subject and to developing the way the pupils express themselves. This year the systematic implementation of Visual Thinking Strategies (VTS) has been extended to all the groups in the school and the best-trained teachers support the work of the new pupils. Thanks to this methodology we have managed to improve group cohesion and the pupils’ communicative capacity, self-esteem and critical spirit. 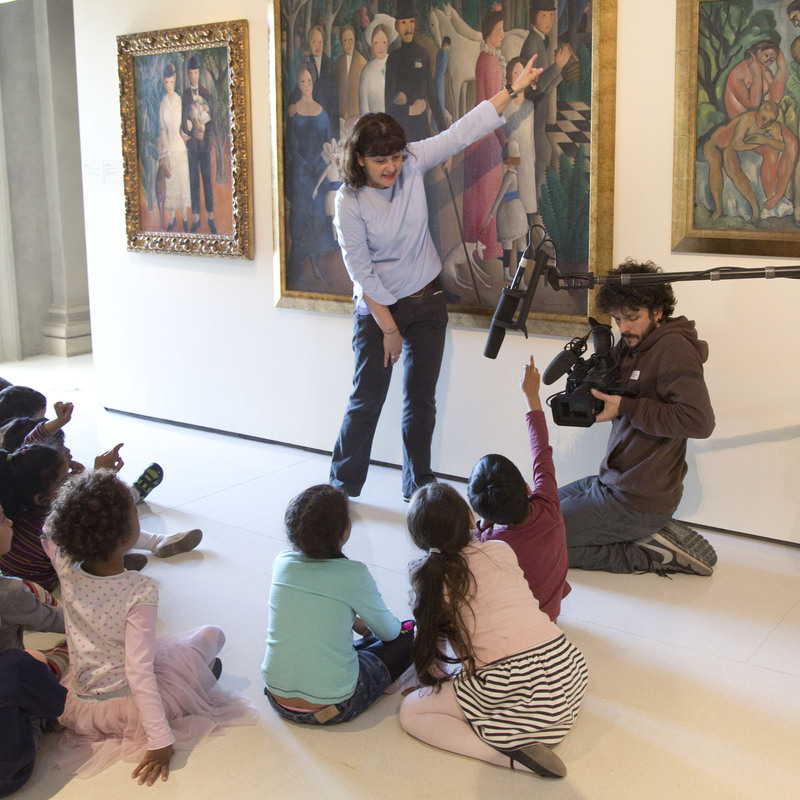 Within the VTS programme, one of the sessions is conducted while observing the works of art in the museum’s rooms. 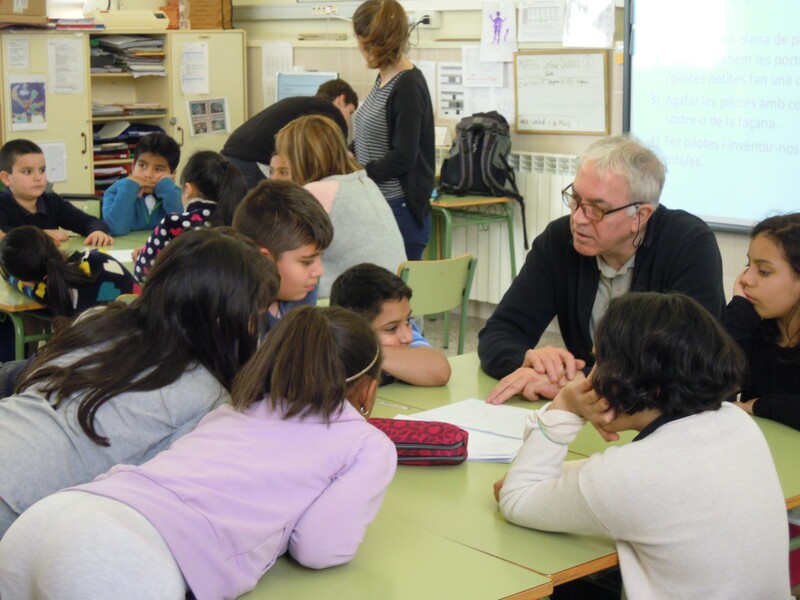 The older pupils participate in the Tàndem committee, one of the bodies making decisions about the projects that affect the entire school. 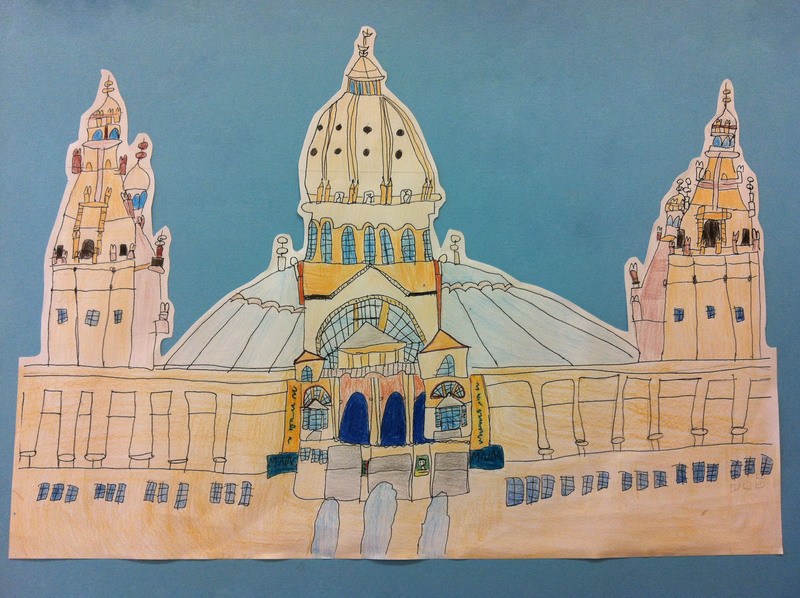 The museum Thanks to this project we have more detailed knowledge of the school. Through the eyes of the pupils in each of the projects (bestiaries, cookery, sport and the Olympic Games …) we have constructed new ways of looking at the collections. The detection of the teachers’ training needs with regard to art has led to us to rethink the role of the museum in teacher training. Thanks to the good results obtained with the systematic use of VTS in this context of maximum diversity we are studying how to use it in the museum’s rooms. 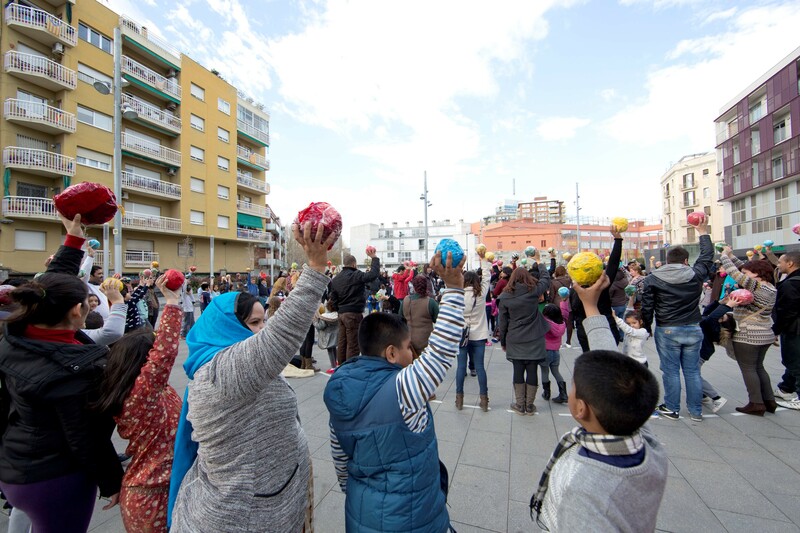 We have increased our collaboration with other cultural institutions and we have contributed to creating a neighbourhood network. We know a little more about immigrant families. When we thought about how we could document and relay this experience the idea of making a film seemed very attractive to us. A good way of standing up for the value of art in education was to do so through the eyes of two creators: the filmmaker David Lacasa and the composer Sergio Gutiérrez. 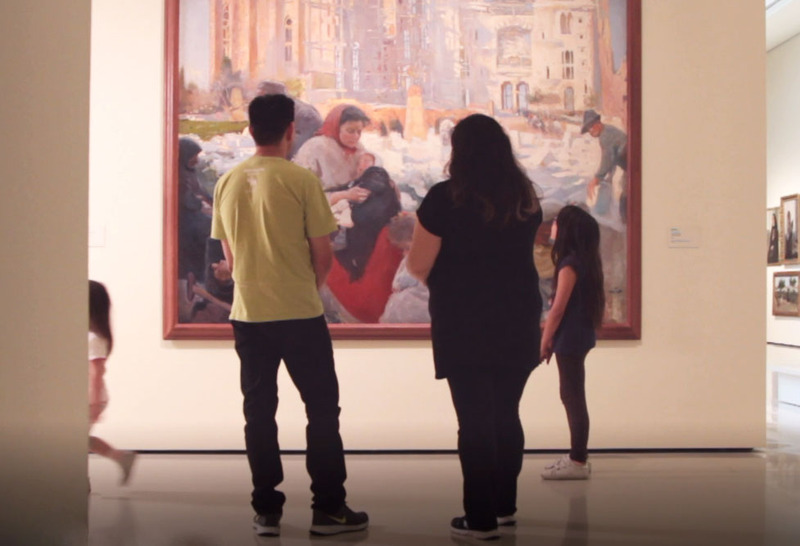 This gave rise to the documentary Tàndem, art a l’escola [trailer, 1:54 min], that we have presented this February in the auditorium of La Pedrera.